The House Oversight Committee has ordered the website Reddit to preserve copies of posts purportedly published by the computer technician who appears to have asked for advice for how to strip Hillary Clinton’s email address from her emails. The posts in question appear to have been made by Paul Combetta, a technician at Platte River Networks, a Denver-based computer firm that Clinton hired in 2013 to manage her private server. They were deleted on Monday, just after Internet sleuths discovered them and circulated them across the Web. That date is a significant point on the Clinton email timeline. Just the day before, the House Select Committee on Benghazi had reached an agreement with the State Department to obtain Clinton’s work-related emails. The FBI’s report of its investigation of Clinton’s emails shows that that same month, Combetta transferred backups of Clinton’s emails to two of her lawyers, Cheryl Mills and Heather Samuelson. “Stonetear’s” post on Reddit raises questions about what was being covered up. And if “stonetear” is Combetta, as seems likely, the Reddit post would not be the first example of the technician engaging in an apparent cover-up. Combetta is the technician who used a software program called BleachBit to delete backups of Clinton’s emails in late March 2015, weeks after Clinton’s email setup was revealed in the press and after Congress had subpoenaed all of her records. He also lied to the FBI during an initial interview about his decision to use BleachBit. Regardless, the Justice Department granted him immunity in exchange for his cooperation with the email investigation. 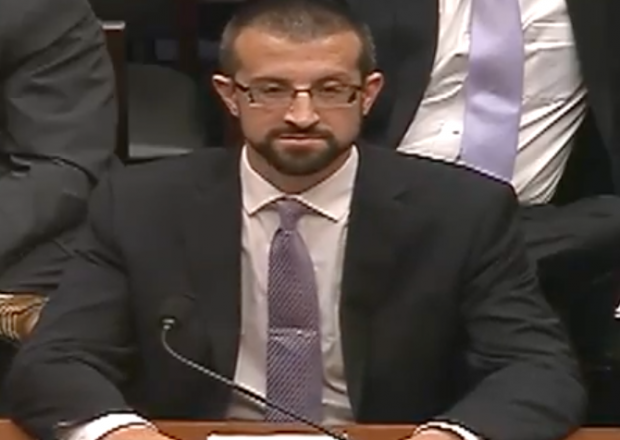 Last week, Combetta and another Platte River Networks technician named Bill Thornton declined to testify at a House Oversight Committee hearing. Both technicians pleaded the Fifth. The allegations that Combetta posted questions about Clinton’s server on Reddit “fit the pattern of what we think was happening,” Chaffetz told The Hill. Another Oversight Committee member, North Carolina Rep. Mark Meadows, said that while the circumstantial evidence “certainly points in one direction” — that “stonetear” is Combetta — the Committee wants to have definitive proof that he is. “We’re just trying to make doubly sure that we can authenticate that in a real way, because if not it will be challenged on a number of fronts,” Meadows told The Hill. Numerous clues have surfaced which strongly suggest that “stonetear” is Combetta. Combetta’s email address is stonetear@gmail.com, and other posts from the user refer to facts known about Combetta, such as that he lives in Rhode Island. TheDC uncovered other clues which lend more evidence to support the case that Combetta is the Reddit user. In some of the Reddit posts, “stonetear” refers to an email encryption service that Platte River Networks uses called Mimecast. He also refers to Datto, Inc., a cloud storage company that PRN hired to service Clinton’s server.